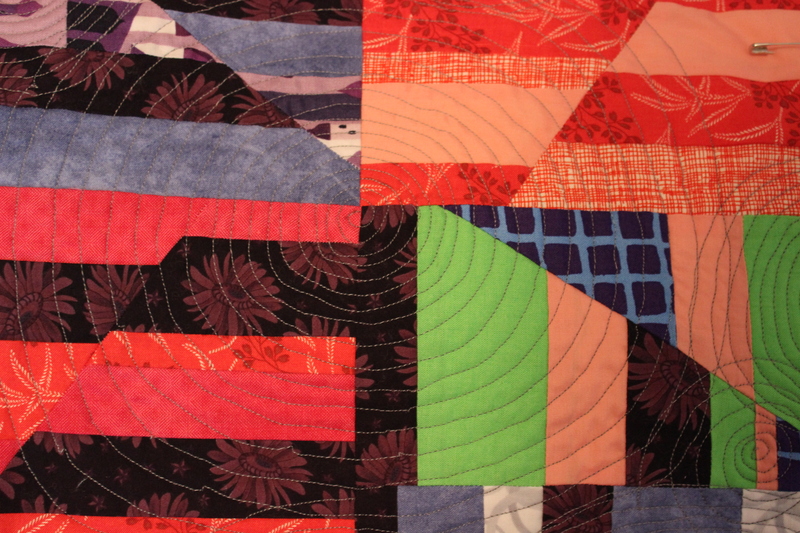 I have two Machine Quilting Projects in various stages of completion. I’m trying to make circles but I’m struggling once the circles start to get bigger. I used all scraps. 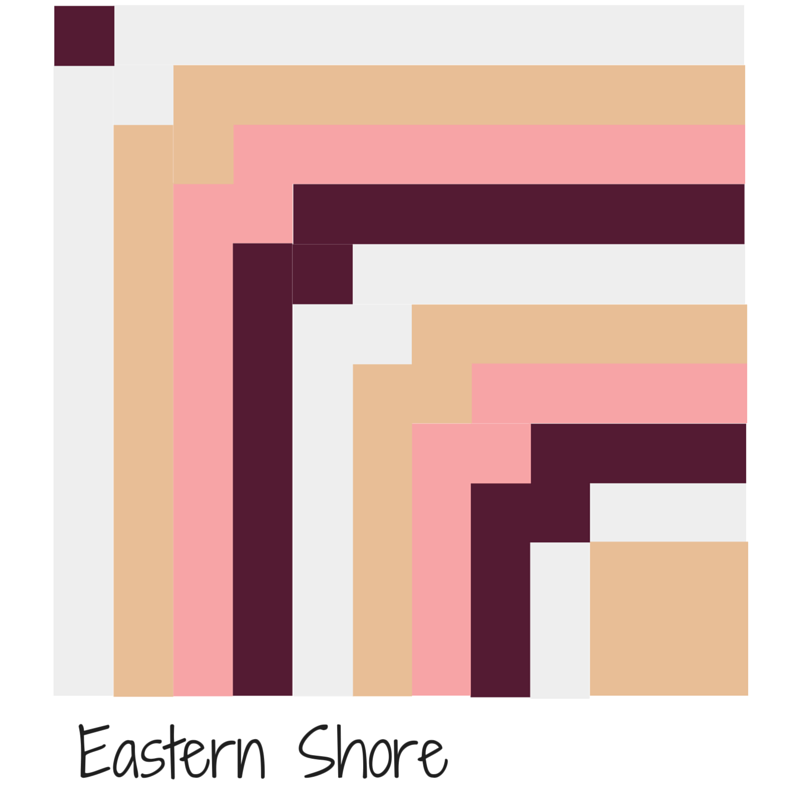 Each strip is 2.5″ by 6.5″. 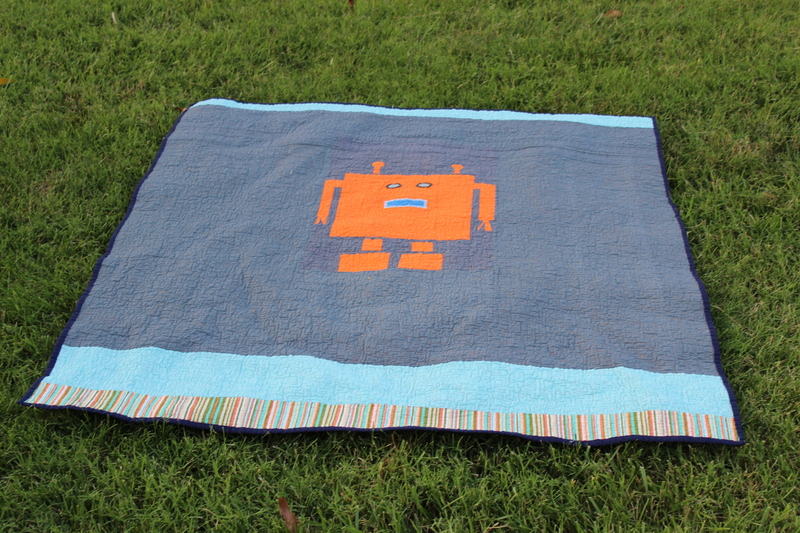 I had some “robot” pieces left over from another “boy” quilt I made. I used orange thread in the bobbin. I really like how this looks. 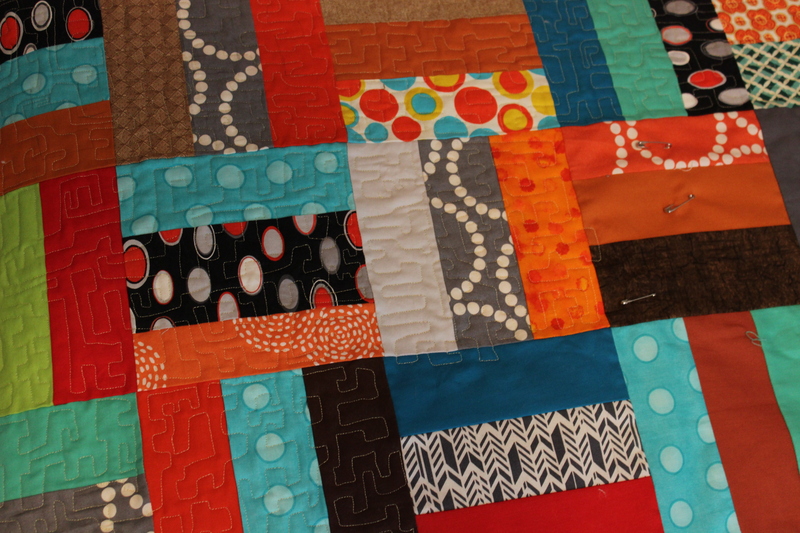 I’m about one-quarter through the quilt with the “circuit boards.” It needs to be completed and delivered by August 1. Calling technical support? Road Trip: ‘There’s No Place Like Home’. 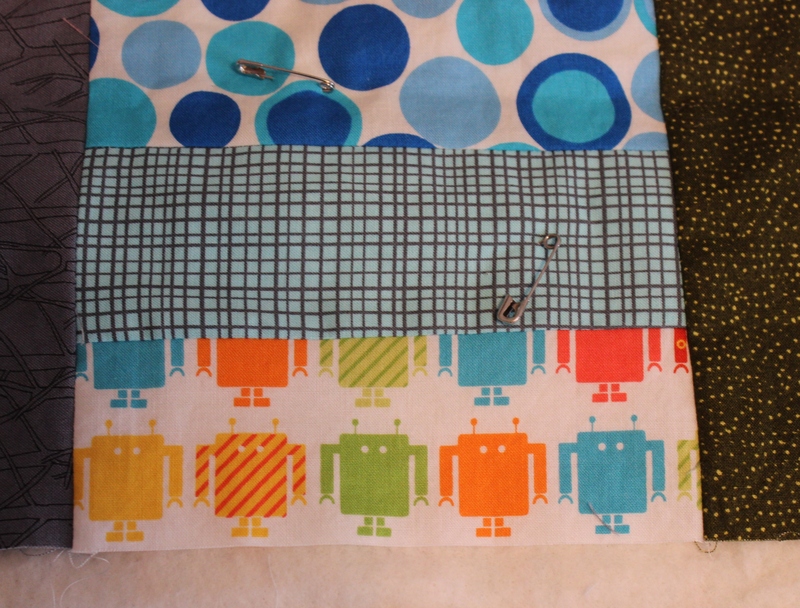 I just love all the colors and the robots are too cute. Thanks. 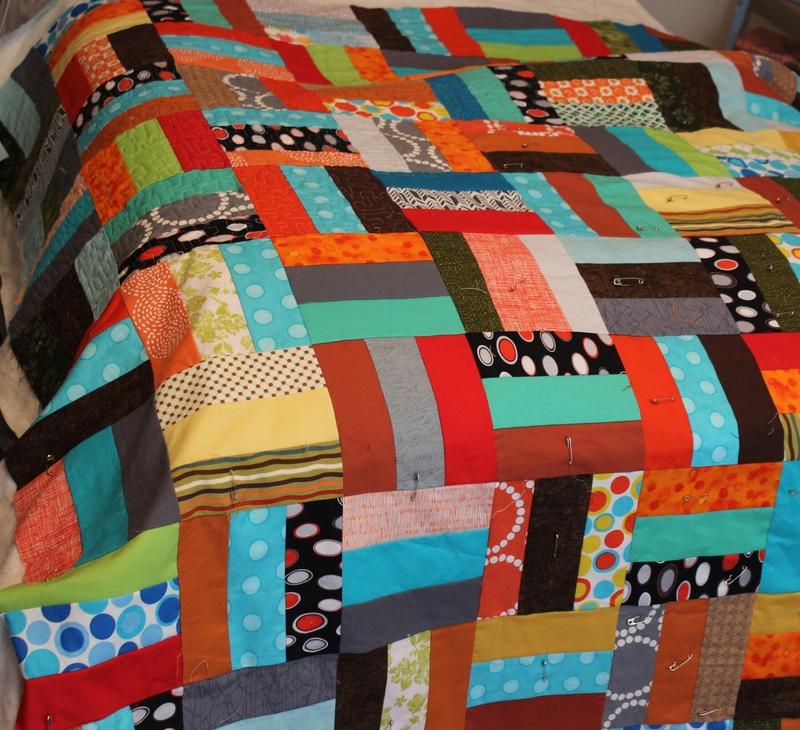 I was so happy to make such a cute quilt. 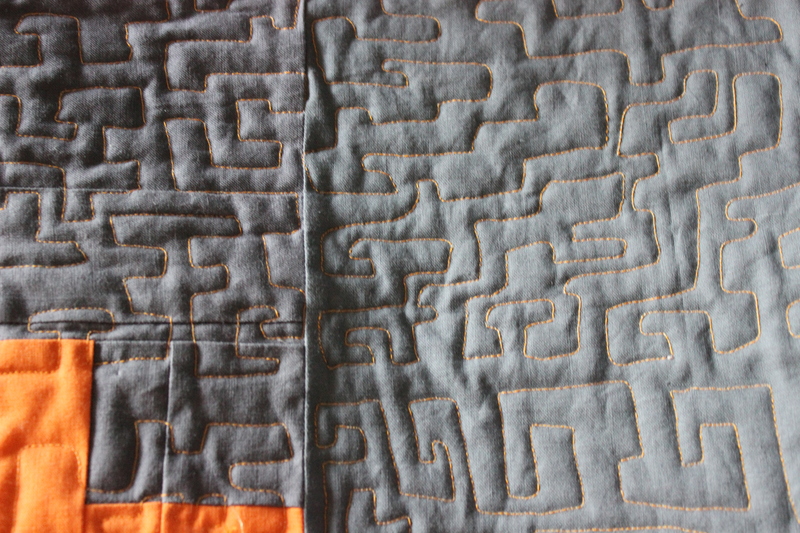 I also improved my free motion quilting skills. 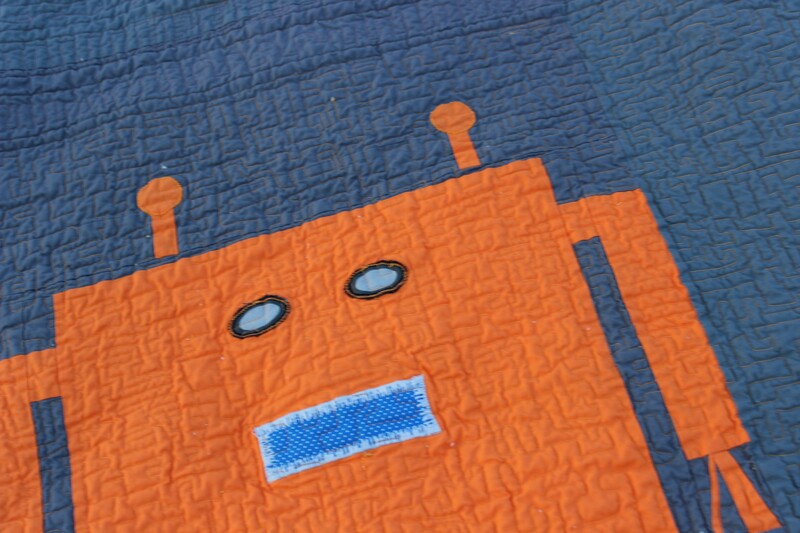 As a mentor for a robotics team, I love love love this quilt and want to make it for all the kids! But that is a lot of robots. 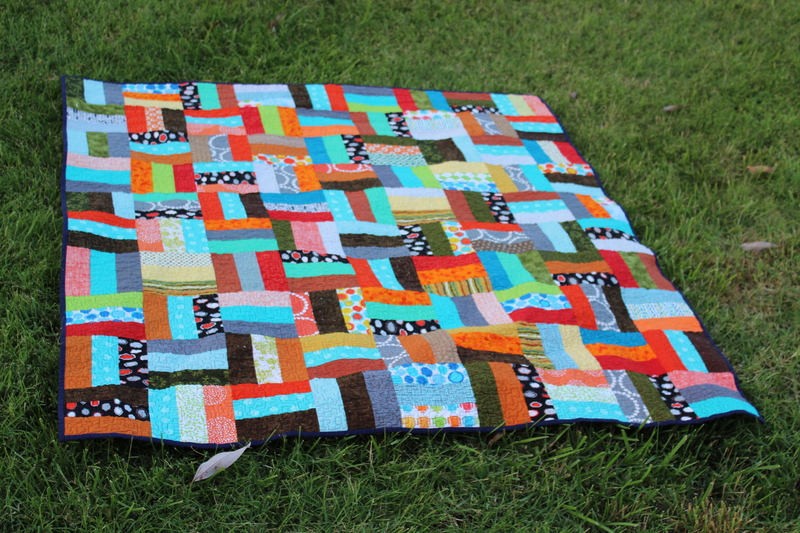 I also love the orange, that will be one lucky little boy! 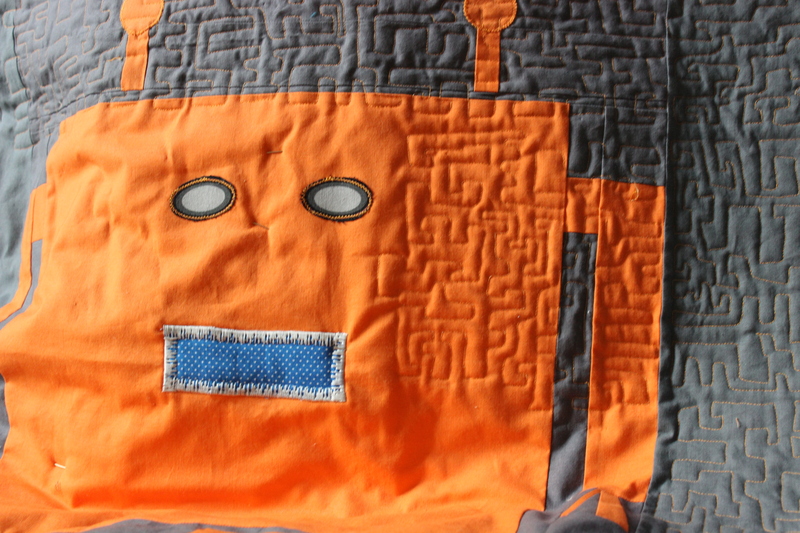 I loved making the robot. I didn’t have a pattern. I improvised and that give it a funky vibe.